Quitting smoking is one of the most important things you can do for your health. The sooner you quit, the sooner your body can begin to heal. You will feel better and have more energy to be active with your family and friends. 20 minutes – Your heart rate drops. 12 hours – Carbon monoxide level in your blood drops to normal. 2 weeks to 3 months – Your risk of heart attack begins to drop, and your lung function begins to improve. 1 to 9 months – Your coughing and shortness of breath decrease. 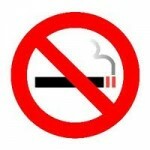 1 year – Your added risk of coronary heart disease is half that of a smoker. 5 years – Your stroke risk is reduced to that of a nonsmoker’s 5-15 years after quitting. 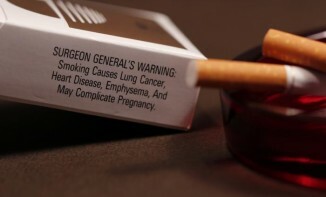 10 years – Your lung cancer death rate is about half that of a smoker, and your risk of cancers of the mouth, throat, esophagus, bladder, kidney and pancreas decreases. 15 years – Your risk of coronary heart disease is back to that of a non-smoker. Take Action and Call it Quits! Call it Quits is a Ventura County program that helps you discover why you smoke, your triggers, and helps you develop a plan on dealing with the habits of smoking. FREE nicotine replacement therapy products (patches, gum or lozenges) are provided to help ease the transition from smoker to non-smoker. Call today to talk with a local trained profession who can recommend a counseling program of your choice. Classes are usually in the early evening and run for several weeks. Also, go online to the Ventura County Public Health Tobacco program.